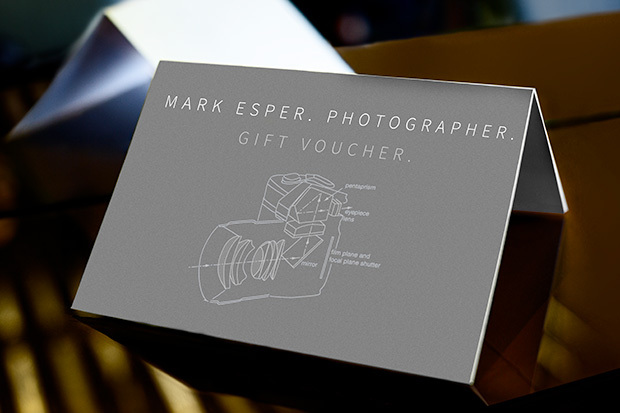 If you are looking to buy a present for a loved-one or a photography inclined friend you can order gift vouchers to accompany your purchase, i.e. some limited edition prints or some dedicated photography training. Particularly when giving someone their first (or new) camera it’s even better to give them some professional training to go with it. Whenever you make a purchase on this website you will automatically be redirected to an optional gift voucher page where you can fill out the recipient’s details and we’ll take care of the rest. Should you mistakenly click-away from this page you can still access it here (please do not fill in this form until you have made a purchase). Once you have completed all the details you will be emailed a personalised gift voucher which you can print out and present in person or forward in a email. We’ve found that this system avoids any delays or damage compared to sending gift vouchers through the post. This is particularly ideal if your present is a last minute purchase and you need to receive your gift voucher(s) quickly. All gift vouchers are guaranteed to go out the same day they were purchased. All of our gift vouchers are personalised for each recipient and them alone. Please note that our gift vouchers are not transferrable – which means they cannot be sold on to anyone else or exchanged for money. If however you need to change the recipient details please contact us immediately. If you have any other questions please consult our gift voucher frequently asked questions page or contact us here.